The year is 1912. Deep in debt, Booker DeWitt has only one opportunity for a clean slate: rescue Elizabeth, a mysterious girl imprisoned since childhood in the flying city of Columbia. Forced to trust one another, they must harness an expanding arsenal of weapons and abilities as they fight to survive the threats of the city and uncover its dark secrets. in a courtyard with 3 hooks and cant get id the doors cause of the electric orbs surrounding them ,how do i dismantle the doors? 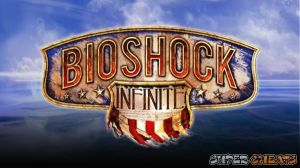 No discussions open for BioShock Infinite at the moment.